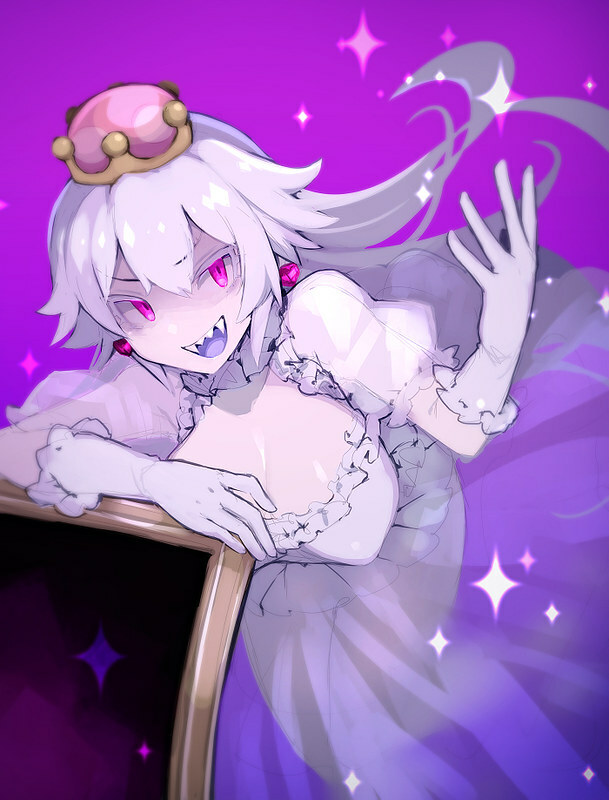 After Bowsette exploded around the world, the Super Crown also gave us Chain Chompette and Booette. 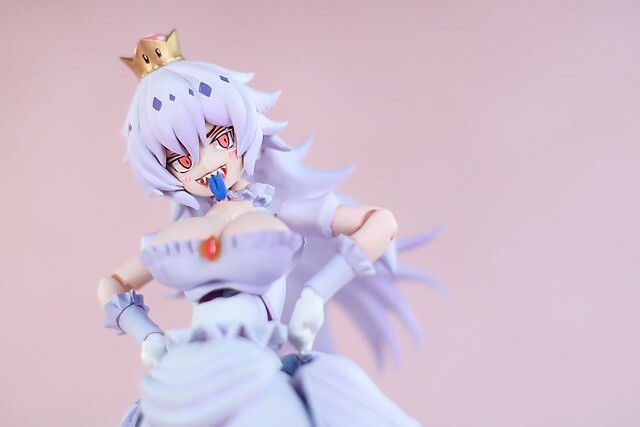 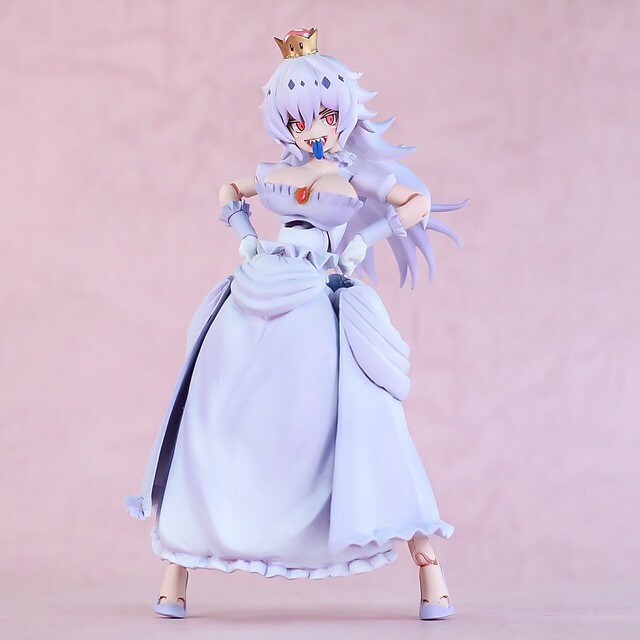 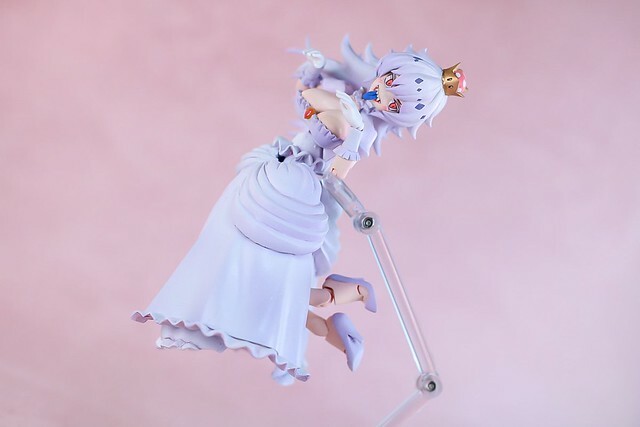 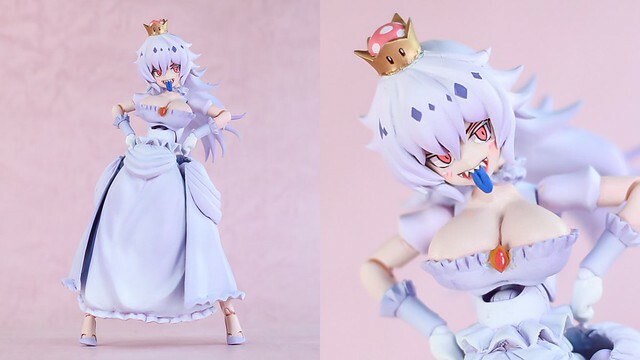 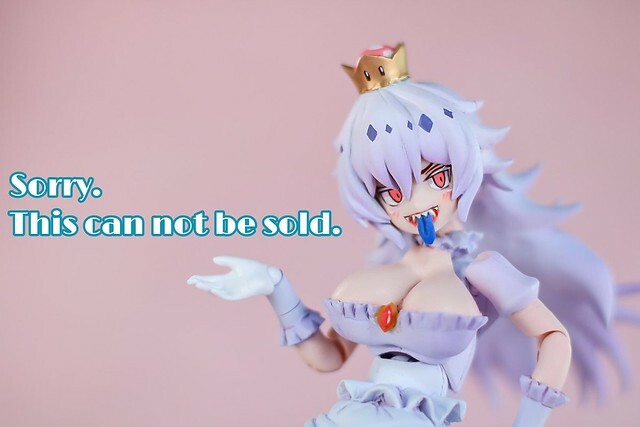 Last week we introduced Bowsette Action Figure by Japanese Sculptor とりぴー(@0508bk201), this week we're bringing his latest work Booette action figure! 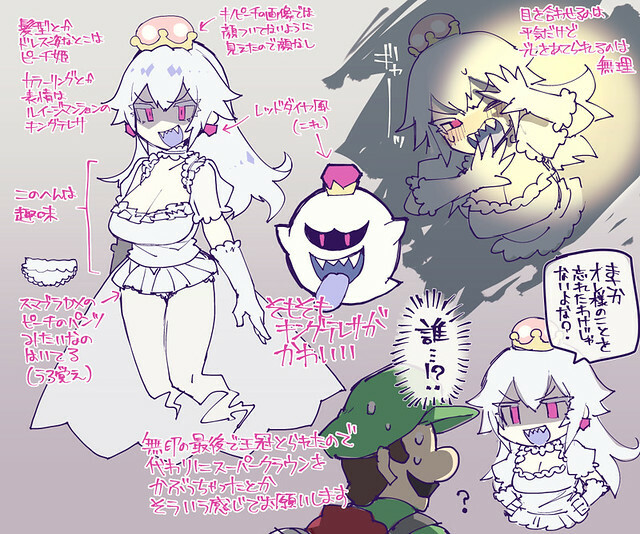 Booette is fan imagined character with Luigi's Mansion 2 final boss King Boo wearing the power-up Super Crown. 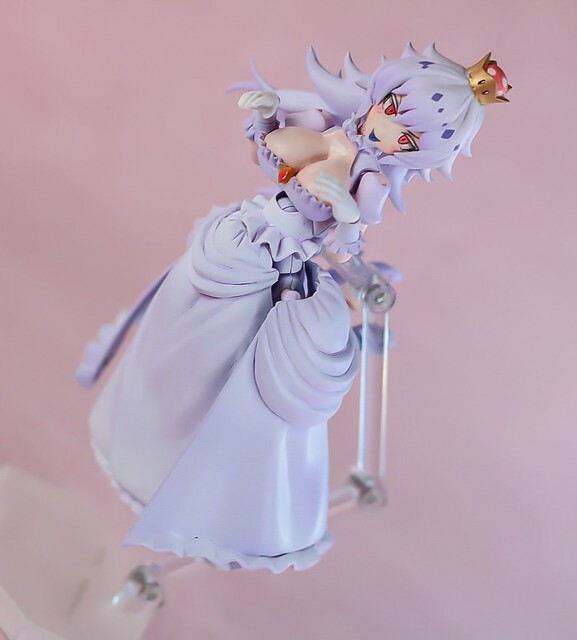 The earliest design was done by Japanese illustrator みずしー, from the hair to the dress are all similar to that of Peach, but colored in white just like King Boo. 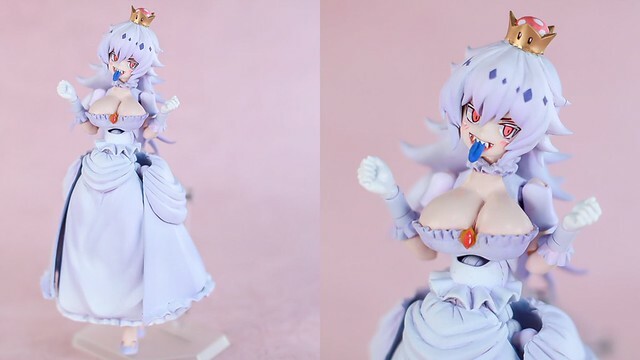 Has big bust like Bowsette while still having Boo behavior, where she covers her faces when someone looks at her and uncover it once the subject turns around, which makes her cuter than Bowsette! 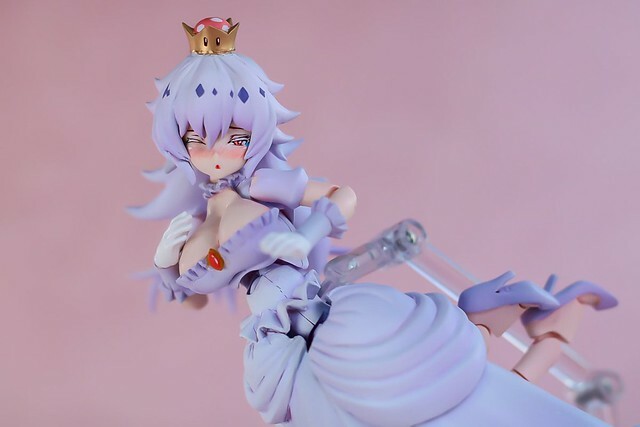 ▼ Booette design by みずしー. 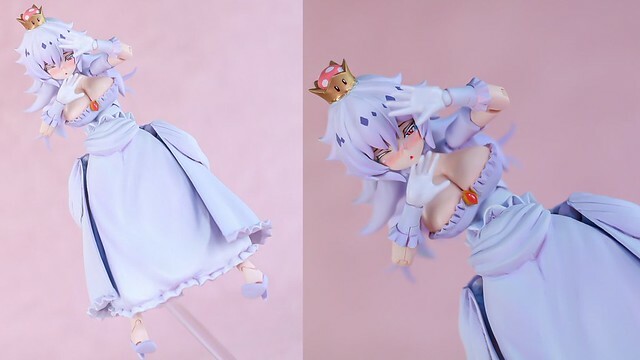 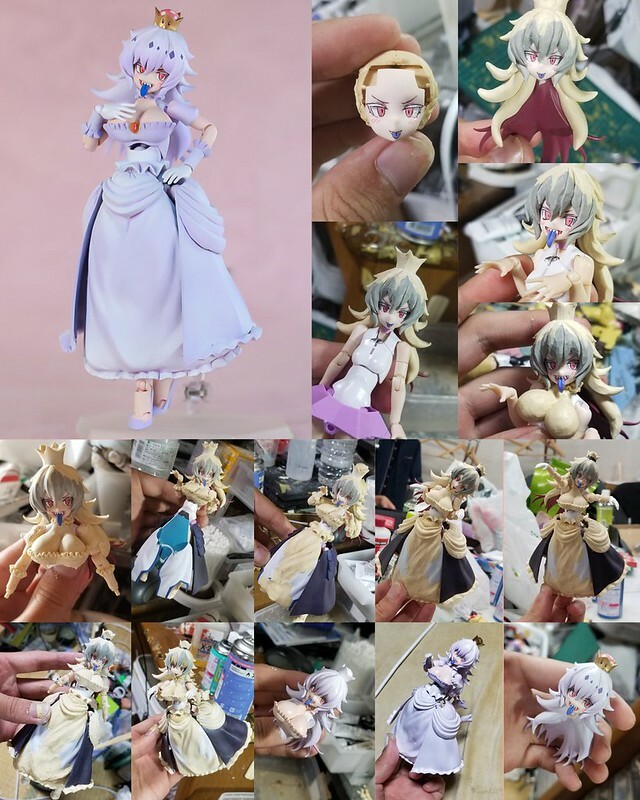 とりぴー modded Booette action figure for 11 days, begun at the same time as the Bowsette figure. 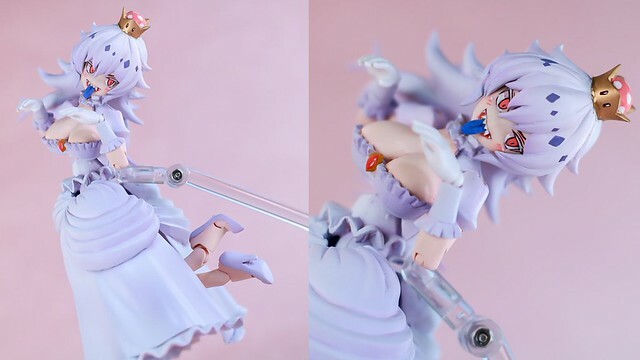 Based again on Megami Device body, and resculpted skirt pieces from figma Kyouko Sakura and figma Saber Alter, with the skirt having articulations. 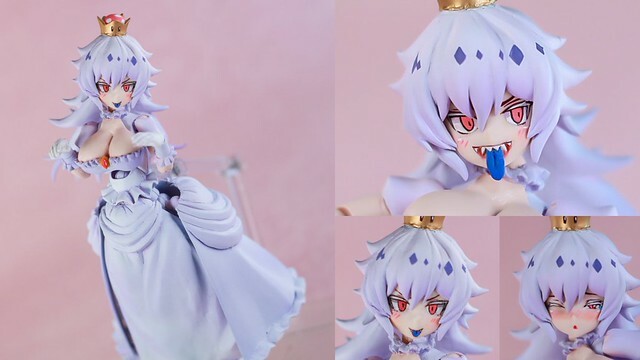 とりぴー made three beautiful faceplates for Booette, rather the open mouth scary expression or the shy expression are all really cute. 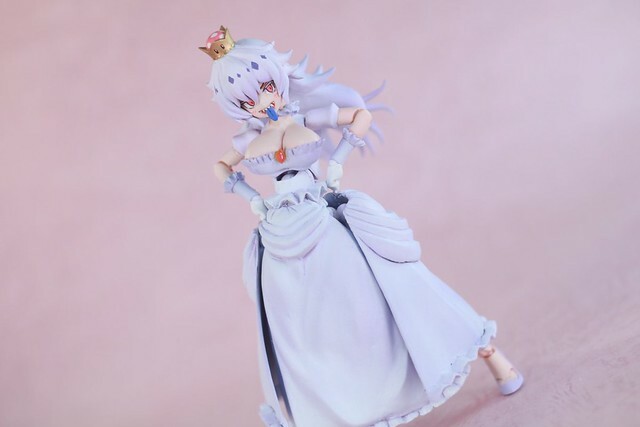 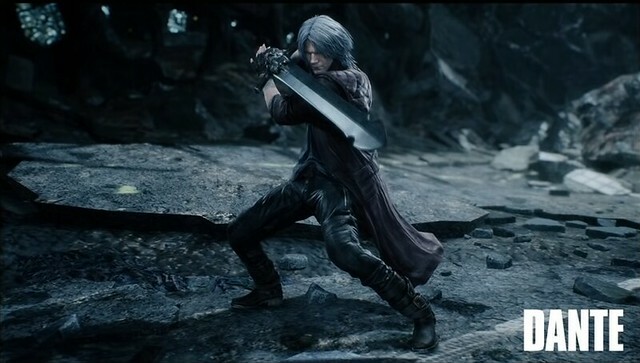 The biggest highlight is, of course, the chest piece, as it's even better than Bowsette's in terms of visual effect! 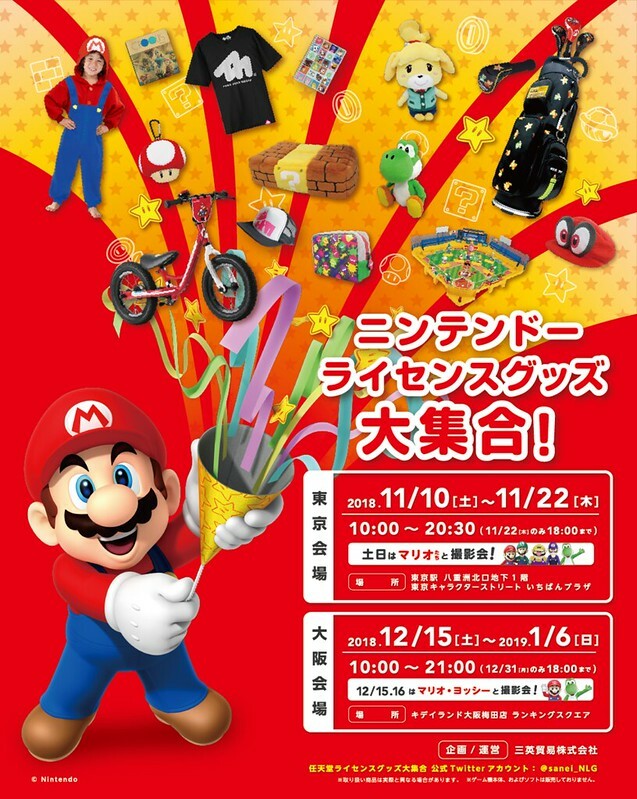 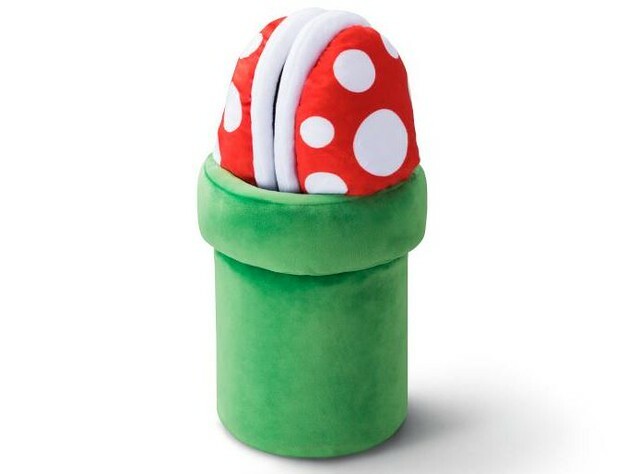 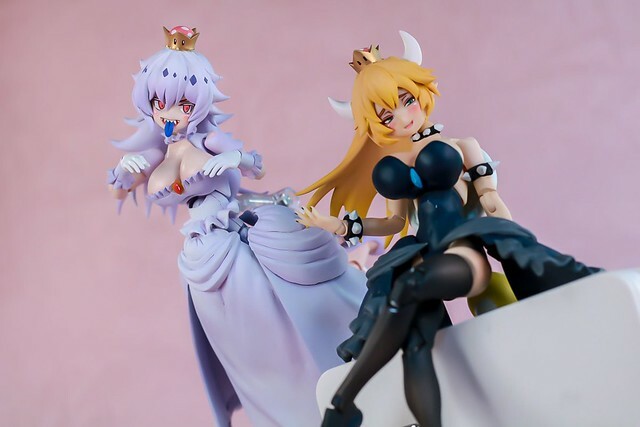 Just a reminder, neither Bowsette nor Booette are planning on releasing. 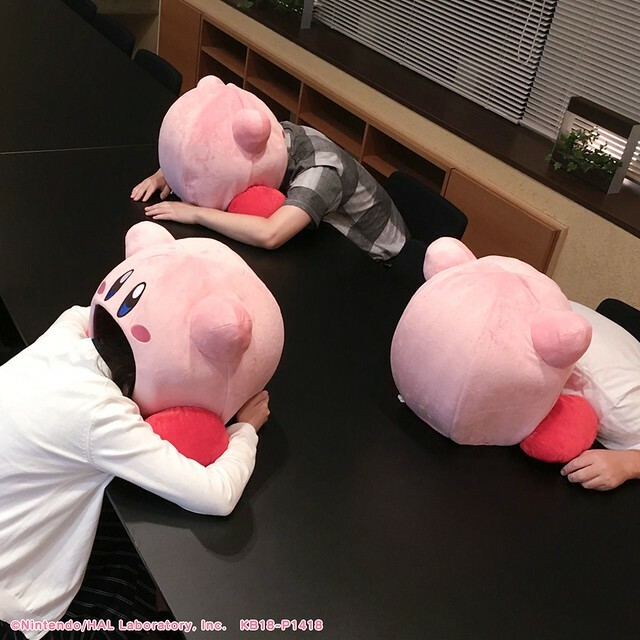 If you're a fan of とりぴー's work be sure to follow him on twitter @0508bk201! 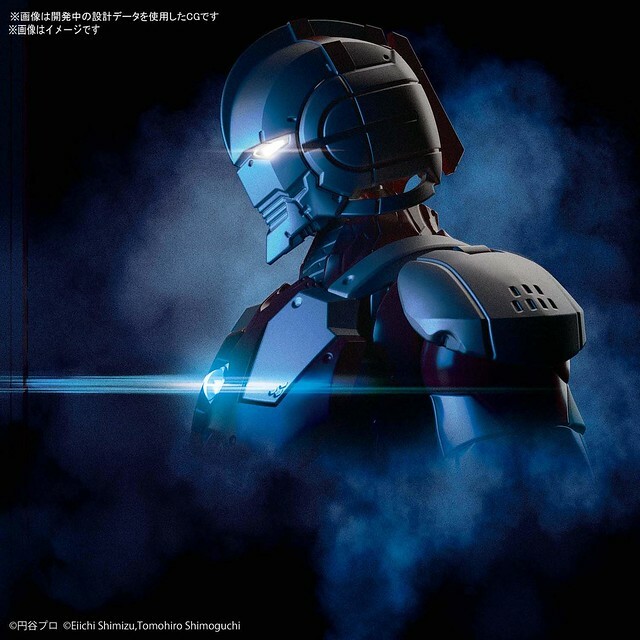 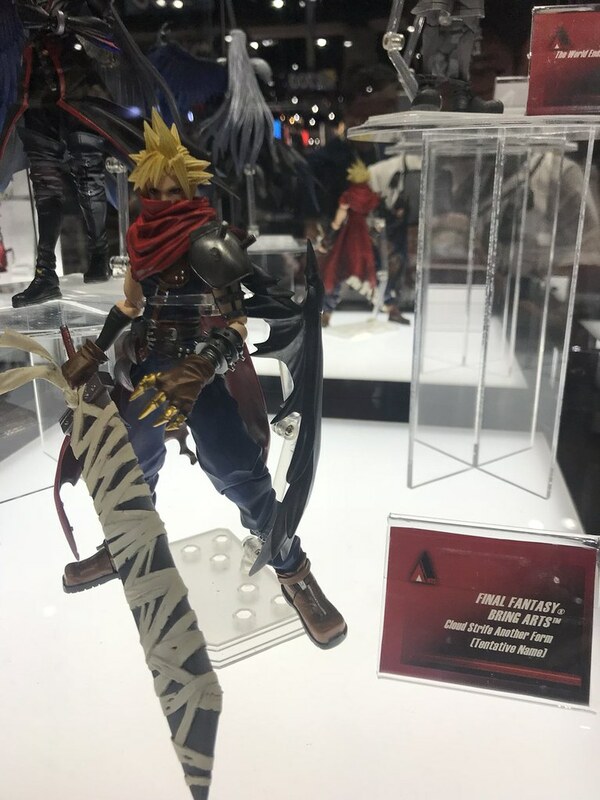 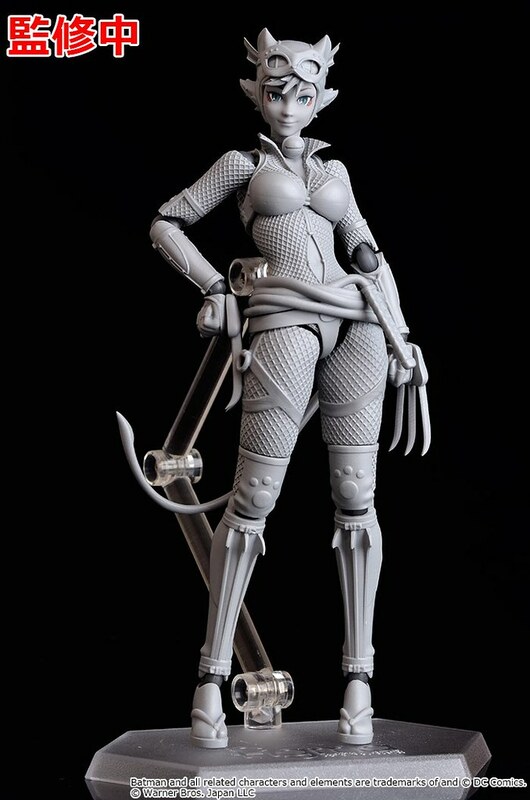 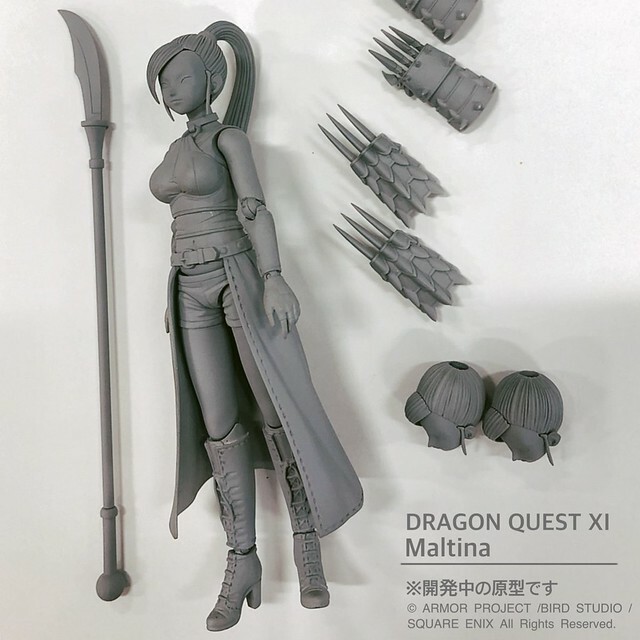 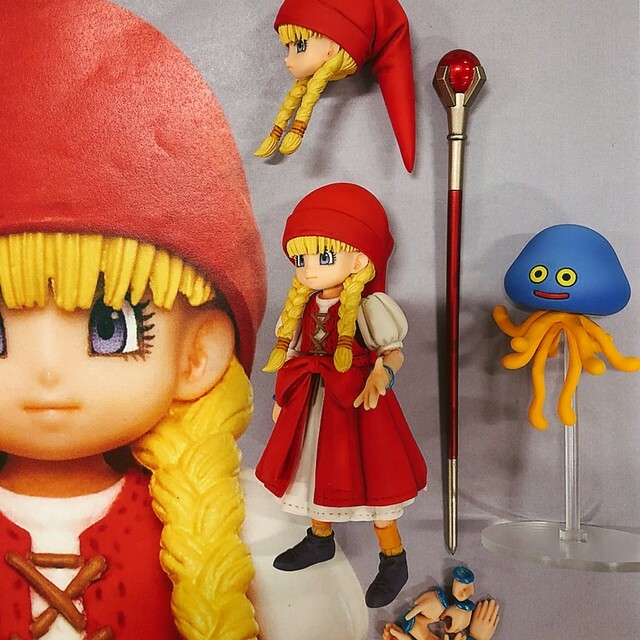 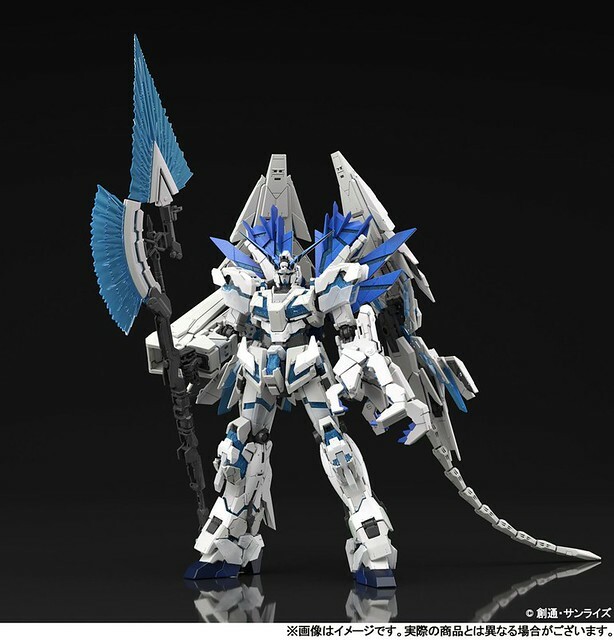 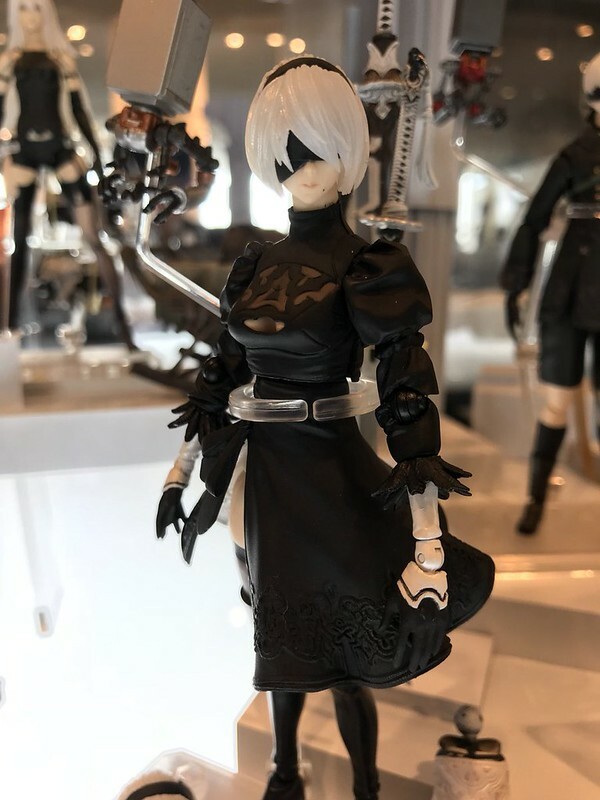 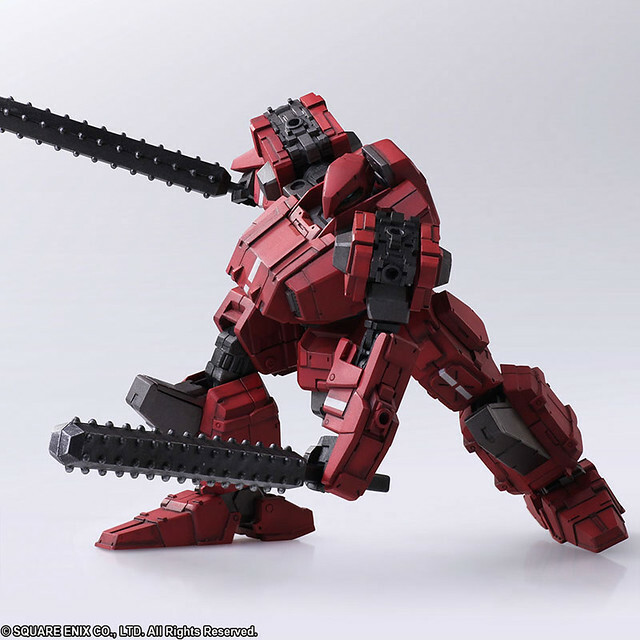 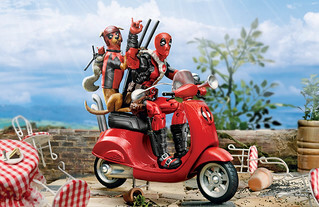 New Figure & Model Info from CCG Expo 2018/Anime Expo 2018 Revealed!